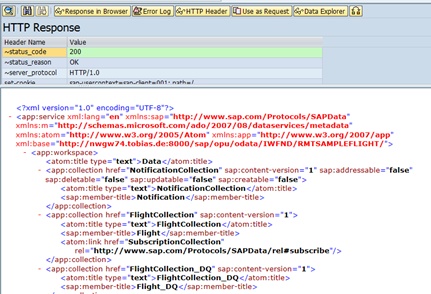 Activate RMTSAMPLEFLIGHT service | It`s full of stars! This brings up the Add Selected Services screen. The get a list of services, first inform the system alias. In my case, I created before in SPRO an alias named GWD for my Gateway system. 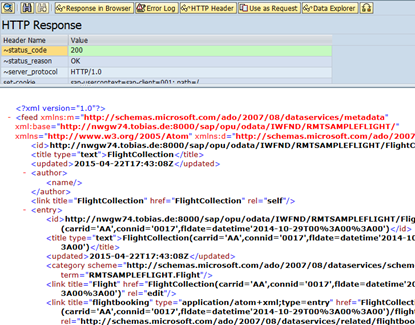 The OData service for the flight data is RMTSAMPLEFLIGHT or RMTSAMPLEFLIGHT_2. 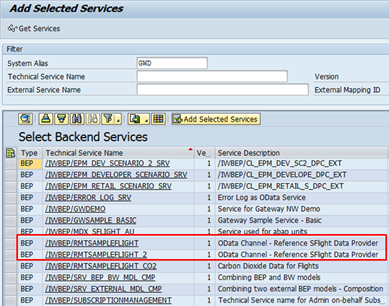 Select the services you want to add and click on Add Selected Services. 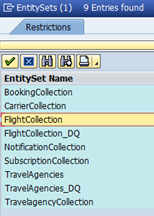 Back at the Activate and Maintain Services transaction shows that the RMTSAMPLEFLIGHT service is added. Click on the service name. This will change the lower section of the screen.
. 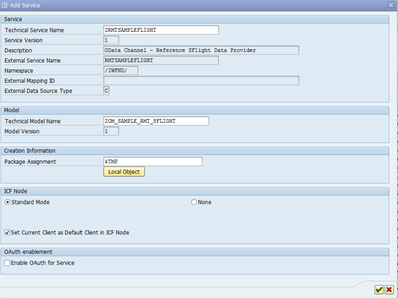 This will open the SAP NetWeaver Gateway Client. 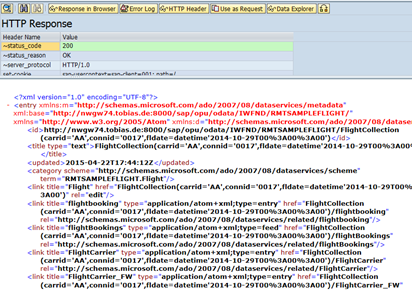 To see of the service works, just execute a GET request. This should bring back the service description. This will set the URI parameter accordingly. Copy & paste this URL in the URI field. 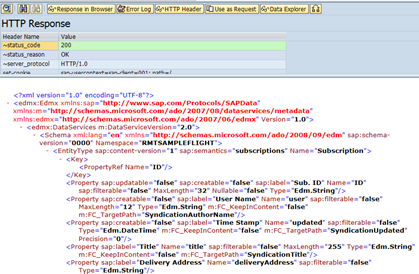 This entry was posted in Basis, SAP and tagged configuration, gateway, odata, sample, sflight. Bookmark the permalink.